Being one of the preferred choices of the business, we are involved in manufacturing, supplying and exporting Bull Block Wire Drawing Machine. Proffered in a varied range of specifications, these efficient and supreme functionality machines are extremely popular among our valued customers. 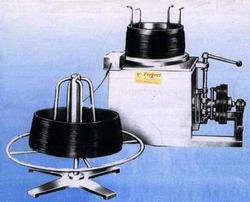 Offered wire drawing machinery is provided in safe packaging. Looking for Bull Block Wire Drawing Machine ?